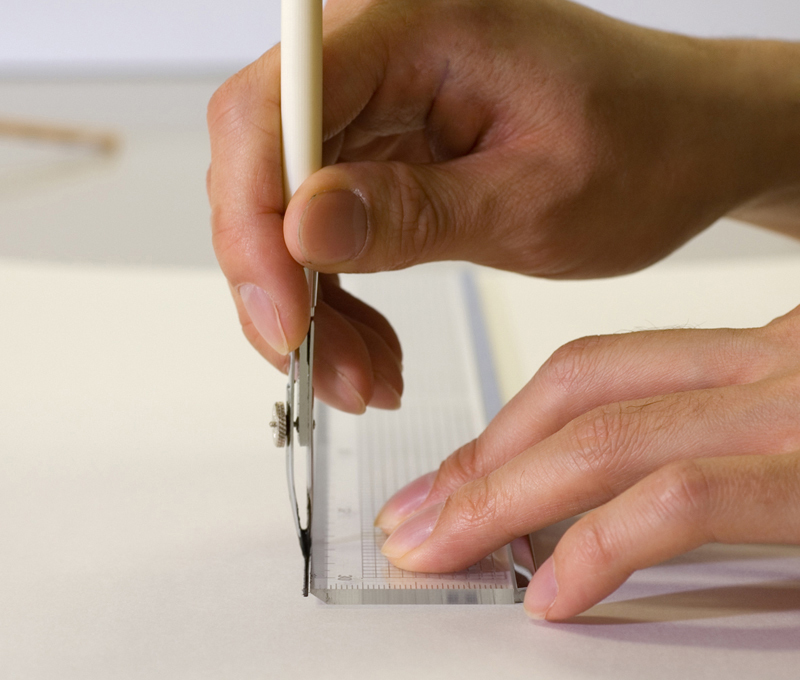 A ruling pen is an instrument for drawing lines of even thickness in drafting, tracing and lettering. In Japanese, it is referred to as a crow’s beak and as this name suggests, it is made of two metal blades in the shape of a beak between which the ink is loaded. It is designed so that ink is drawn in between the blades by capillary action. 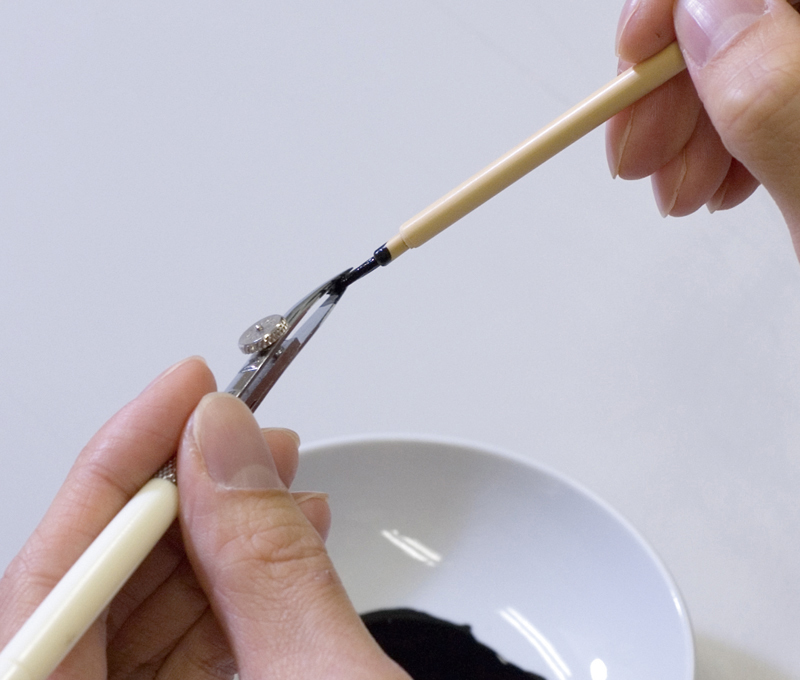 When loading ink, rather than dipping the ruling pen directly into an inkpot, a fine brush or a dropper is used to gently place the ink on the inside surface of the blade. There is a screw that can be used to tighten or widen the gap between the blades. The thickness of the lines to be drawn can thus be changed at will by adjusting the width of this gap. 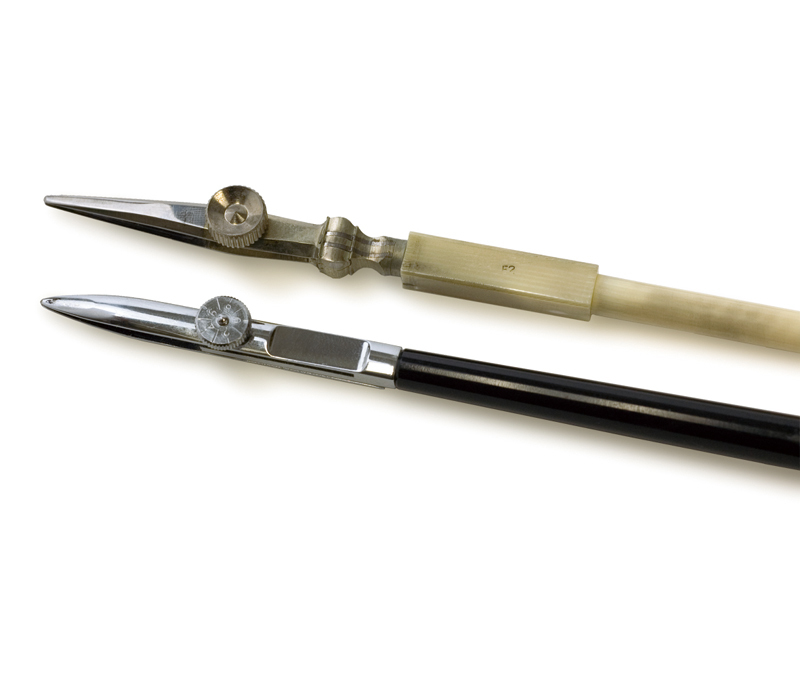 In this respect, it is very different to a drafting pen, which has a set line width for each pen. Moreover, since watercolor and poster paint mixed with water can also be used besides ink, a single ruling pen affords the user the ability to draw not just lines of different thickness, but of various colors. It requires skill to use this instrument proficiently but once mastered, it can be used to draw beautiful sharp lines. 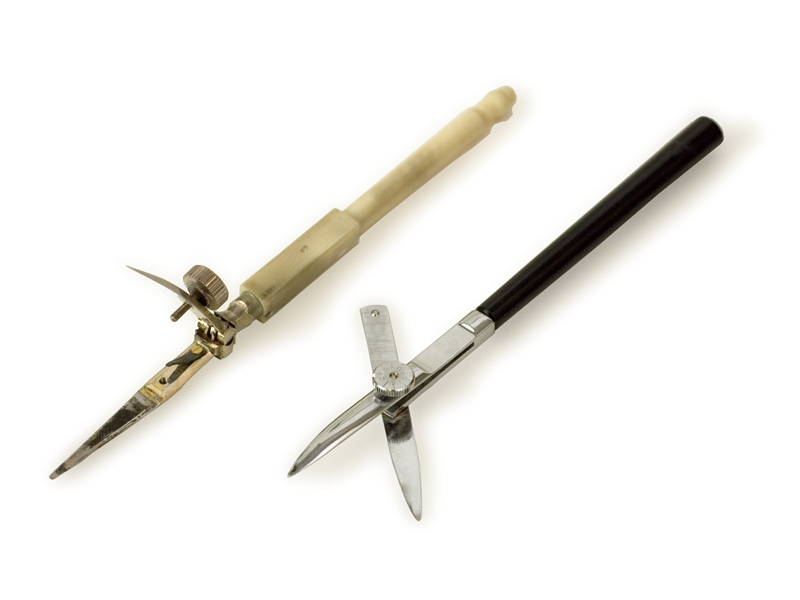 There are two styles of ruling pens, English and German. The blades open vertically in the English style pen and sideways in the German style. Some ruling pens are designed specifically for drawing straight lines, swivel pens are used for curved lines, and there are even those with a twin tip called a road pen for drawing two parallel curved lines. A ruling pen compass is used to draw circles.